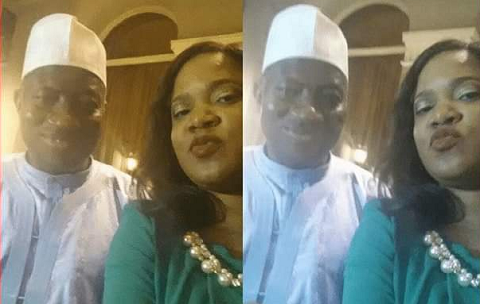 It’s safe to say popular Nollywood actress, Toyin Abraham is no longer a die-hard fan of PDP. 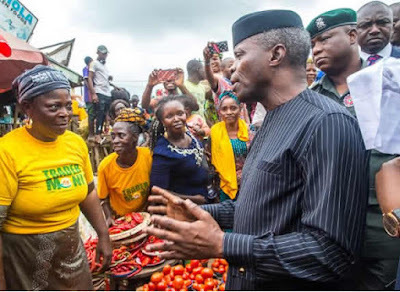 Recall, the actress campaigned for the party in 2015 and even said ‘I can die for PDP’. Today she is party of the APC lead Government TraderMoni train. 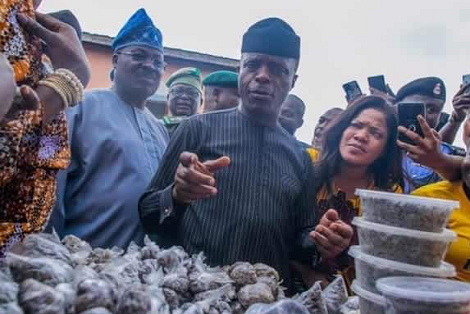 We first saw her with VP Osinbajo and Sanwo Olu in Lagos and thought that was it. 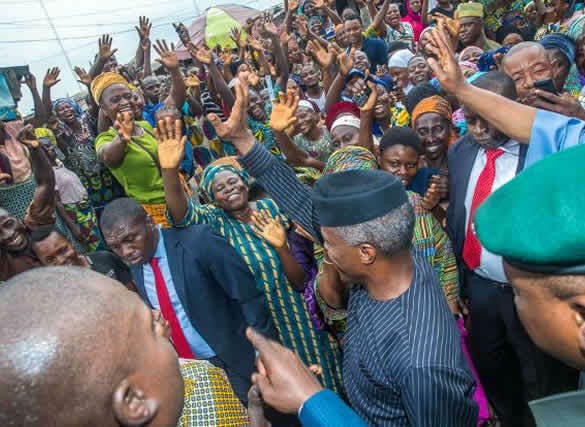 Until the Vice-President stormed Bodija and Oje markets yesterday in Ibadan and Toyin was part of the train. Safe to say she belongs to APC now?